When I don't want to wear foundation and still want my skin to look even, I turn to BB creams and the like. I've only found a select few that perform well on my oily skin and one of those is from Pur~lisse. Their BB cream comes in two shades, Light and Medium. I have the shade Light, as I am in the Ivory family of foundations. First off, I have to say I've had many Pur~lisse products and I've loved them all. I currently have their Pur~Moist and Pur~Protect moisturizers. I used to have their Lip Nourisher and Pur~Delicate cleanser but finished those products (they're amazing). Luckily, I've been just as impressed with their BB cream! The packaging is your typical squeeze tube, which I like for face products. It's sanitary and easy to travel with. While the coverage of this product was fantastic, I did find myself using a tiny bit more of it than I would a typical foundation. I don't mind, considering you're getting 1.7oz of product so it will last longer than a foundation that's usually 1oz. For application, I used a synthetic buffing brush and tapped product over areas that might need a bit more coverage (redness etc.). I was really pleased with how this BB cream evened my skintone without looking heavy or cakey on the skin. Following application, I used a bit of powder on my t-zone and followed with my bronzer and blush. Everything blended seamlessly and looked beautiful over this BB cream. Throughout the day my face looked fresh and felt great. I didn't notice any greasy feeling or heaviness as the day went on which was nice. I did blot once during the day, but everything stayed in place and maintained a fresh appearance. Overall, I loved this as a lighter, more natural alternative to foundation. I'll definitely be reaching for it a lot this spring! 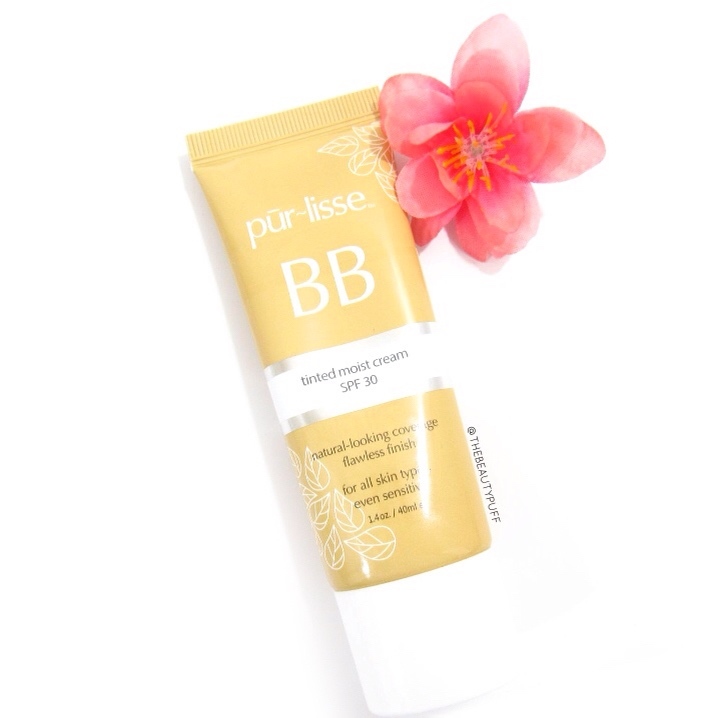 The Pur~lisse BB Cream has no parabens, petrochemicals, phthalates, tricolosan, fragrance or oil. You can shop the entire Pur~lisse collection below!